A Primer To The Hitchhiker’s Guide To The Galaxy – A Wholly Remarkable Book* | Warped Factor - Words in the Key of Geek. Tony Fyler charts at least the beginnings of a very confusing story, then goes to make a cup of tea. This…is not the story of a book. This is the story of a radio show. In the first instance, a radio show called The Ends of the Earth. 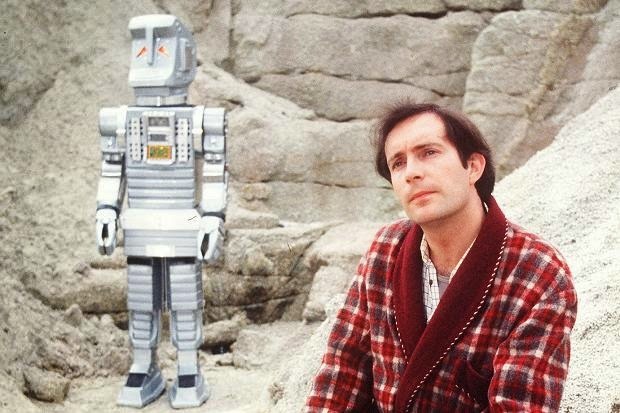 The premise was straightforward (or at least, as straightforward as anything author Douglas Adams was ever involved with, which is to say somewhere between a Mobius strip and a pretzel): six independent, self-contained episodes, each depicting a way in which the Earth could be destroyed at the end. To say that Douglas Adams overthought things would not be strictly accurate. It would be closer to the truth to say that he thought about things just enough to allow his genius to crystallise, but also just enough to get himself into deep, deep trouble. If you were going to blow up the Earth, you needed someone on the planet to give context to the whole thing. That someone couldn’t be human, because humans are shockingly bad at objectivity and context when it happens to be their planet that’s being demolished. That meant the someone had to be an alien. Why would an alien be on Earth, he wondered. And wondered. And eventually decided, having spent some time himself hitchhiking and backpacking around various reputable and disreputable parts of Europe, that the alien would be a roving researcher for a guidebook. A guidebook for the poor and the free-spirited aliens of the galaxy, trying to see the sights without spending too much of their precious alcohol-budget. A hitchhiker’s guide to the galaxy. In fact, The Hitchhiker’s Guide to the Galaxy. People who knew Douglas Adams as a writer understood that this was the sort of thing that frequently happened to him. He would start with one idea, and work at it, and then realise that an explanatory idea was more important than the idea he had started with. It was a working process that would often see him desperate, despairing and then pounding out words as deadlines sailed by him, barely rippling his concentration. But in 1977, Adams was building ideas upon ideas – the researcher was an alien. Aliens needed a human to point at things and say ‘What’s that?’ (Adams was no stranger to Doctor Who), so as the explosion of the Earth to make way for a new hyperspace expressway was chosen as the one Earth-destruction he needed, the focus shifted to Guide researcher Ford Prefect and his hapless friend Arthur Dent and their adventures in space and ultimately time. 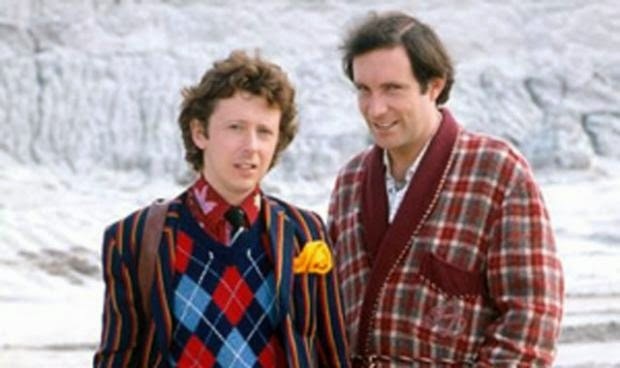 The first series of Hitchhiker’s Guide was commissioned after a 1977 pilot, and Adams already had his radio Ford and Arthur in mind – indeed Arthur Dent was written not-exactly-but-nearly-for Simon Jones, the tall, angular man who would go on to play him on radio, on stage, and in the TV version. While writing the first series, Adams was also commissioned to write The Pirate Planet for Doctor Who, and brought John Lloyd in to help write Hitchhiker’s. It’s round about now that this becomes more than the story of a radio series. And it becomes it, pretty much, all at once. Audience reaction to the first series (with Mark Wing-Davey as Zaphod Beeblebrox, Susan Sheridan as Trillian and Stephen Moore as Marvin, the Paranoid Android) was impressive, not only because the writing had a kind of intellectual silliness that radio audiences were no longer entirely used to, and hadn’t realised they’d missed till Hitchhiker’s landed in their ears, but also because the production was massively innovative in terms of how things were rendered – the narration of The Book breaking in as action-gapping material, and the use of both real and radiophonic sounds to build the weirdness of Adams and Lloyd’s galaxy, was unlike anything that had been heard before. The Pirate Planet gig rapidly developed into Douglas being offered the Script Editor’s job on Doctor Who, a second series of Hitchhiker’s was commissioned while Adams was busy penning a stage version, and he then turned the events of Series 1 into a novel, published in 1979. Adams himself was later to parody this multiple spawning of the Guide, in the fifth novel in the by-then laughably-titled Hitchhiker’s trilogy, Mostly Harmless, when the Guide in the story becomes a multi-dimensional entity that was out of the control of its original authors, but it’s safe to say that the Guide on radio never really looked back. Telling the story initially of how Ford Prefect and Arthur Dent escaped the destruction of the Earth by stowing away on board one of the ships of the Vogon Constructor Fleet that blew up the planet, and were then hurled out into space, only to be picked up by a new ship, stolen by Ford’s semi-cousin (and as it happens, Galactic President) Zaphod Beeblebrox (he of the two heads and very little brain), and Trillian, a very pretty girl who Arthur had once totally failed to get off with, the series took the utter lack of logic of the Goons, siphoned it through some Really Clever Thinking, painted itself in sci-fi colours and wreaked havoc not only on the galaxy, but on any and all concepts of human importance. Not to spoiler anyone who hasn’t encountered it yet, but in the first series of the radio show alone, we learn that the planet Earth was a custom-build, arranged, designed and paid for by mice. Yes…mice. Also, once you’ve heard the first series, your relationship to the number 42 will never be quite the same again. Subsequent series of the radio show, by now feeding back and forth like sparks between the twin poles of radio programmes and novels, would see the gang eat at the Restaurant at the End of the Universe, discover the deadly dangerous truth behind the game of cricket, and explain the true intelligence of dolphins, all while exploring big scientific and philosophical themes, and being so funny you didn’t quite realise they were exploring big scientific and philosophical themes. Even more subsequent series would tackle the multi-dimensional theory of the universe, with different versions of the same people crossing from one reality to another. It’s probably true to say that the worldwide popularity of Hitchhiker’s is more down to the availability of the books than the original radio shows, but without the radio shows, and without their limitations and disciplines, which forced Adams to cut whole swathes of funny but purposeless writing from his original scripts, there would likely be no books, no stage plays, no TV series, no movie version. The original radio shows are the single malts of the Hitchhiker’s phenomenon – they may not be the first iteration of the story that people encounter, or the second, or even the third – but they’re the one that people discover when they want more, or deeper, or richer pleasures in the same intellectual, lunatic vein. The books are the Sunday dinner of the range – familiar, expansive, less frantic and giving more scope for the ideas to unfold. 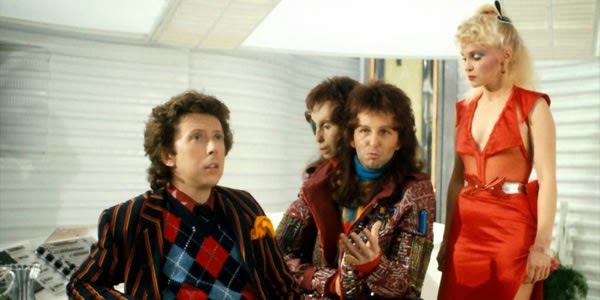 Meanwhile the TV version, again starring Simon Jones, Mark Wing-Davey and Stephen Moore, but with David Dixon as Ford and American Sandra Dickinson as Trillian, succeeded in doing on TV what the radio show had for listeners – used innovative techniques to deliver spacefaring laughs, with ‘The Book’ in particular intercutting often-hilarious animations between scenes. It took longer than a lifetime to get the film version that Adams had been pushing for made – it was released significantly after he died, with an all-new cast including Martin Freeman as Arthur and Alan Rickman as Marvin. To date it’s the least well-regarded version of the story of interplanetary shenanigans recorded. However you encounter the Hitchhiker’s Guide To The Galaxy, you can’t escape its influence on science-fiction or popular culture. Like The Rocky Horror Picture show, Buffy the Vampire Slayer and Doctor Who, its language and concepts have become the stuff of ordinary conversation, and like the Python movies, its quotes have become entry codes to a secret society of people who are just that little bit froodier than the rest of society. People, if you know what they’re talking about, just like you. Grab your towel, stick a fish in your ear, pack your copy of the Guide and get ready to see the galaxy in a whole new light. *The word ‘book’ here should not be inferred to be limited to a collection of dead tree-bits, covered with squiggles. Books are repositories of information, whether they in fact are radio shows, ‘books,’ stage plays, or, though this is stretching it rather, even occasional television shows. In the age of the Kindle, those who refer to books simply as collections of dead tree-bits are apt to be sneered at at fashionable parties, in the same vein as those who insist a book is not a book unless it’s carved onto a rock.